4 classes that will give you the basics of painting. You will learn about acrylics, oils, and watercolors. This is a beginners class and you will leave knowledgeable about which type of painting you like, what you need to buy, and what not to waste your money on. You will use various materials and learn many techniques in this class to create your own style. Absolutely no experience necessary! Bring your painting clothes and be prepared to have fun! All materials provided. 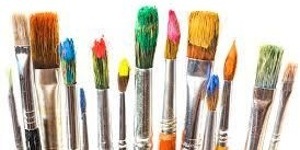 Tuesdays, August 11 - Sept. 1, 6:30 - 8 p.m.
Come paint in a fun and creative environment. We will be painting a bouquet of flowers and enjoying refreshments. Don’t paint? No worries! I will walk you through this acrylic masterpiece step-by-step. No painting experience needed! Painting Party Ticket includes: art instruction, painting supplies, refreshments, and your own painting to take home! August 15, 10 a.m. - 12 p.m. 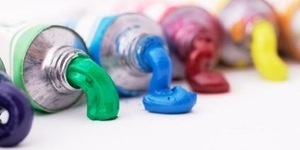 This is an introductory class to working with acrylic paints. We will learn to paint with acrylics using various materials, styles, and techniques. This is a fun non-stressful class that will leave you wanting to run out and buy your own paints! All materials will be provided for class. August 16, 1 - 3 p.m.